Porsche 718 Boxster Boot Space, Size, Seats | What Car? Despite having its engine mounted in the middle of the car, the 718 Boxster offers more than enough room to accommodate tall drivers. It’s also wide enough to ensure you’re never brushing elbows with whoever's sitting next to you. Storage is more of an issue. There are several cubbies, including two in the doors and one in the centre armrest with room for a mobile phone. However, the door pockets are shallow with limited access and certainly don’t have enough room for a water bottle or anything more than a set of keys or a wallet. Probably the single biggest disadvantage of the mid-engined layout is that there’s nothing but bulkhead behind the front seats. Some two-seaters offer cubbies or luggage nets to stow loose items, but not the Boxster. If you’re not the tallest of drivers, then there will be a small gap behind the seats where you can slide maps or slim guidebooks into. Pull the handle on the headrest and the backrest folds forward, revealing hooks on the back on the seat to hang jackets on. However, if you’re taller, then you’ll probably have to put your jacket in the boot. 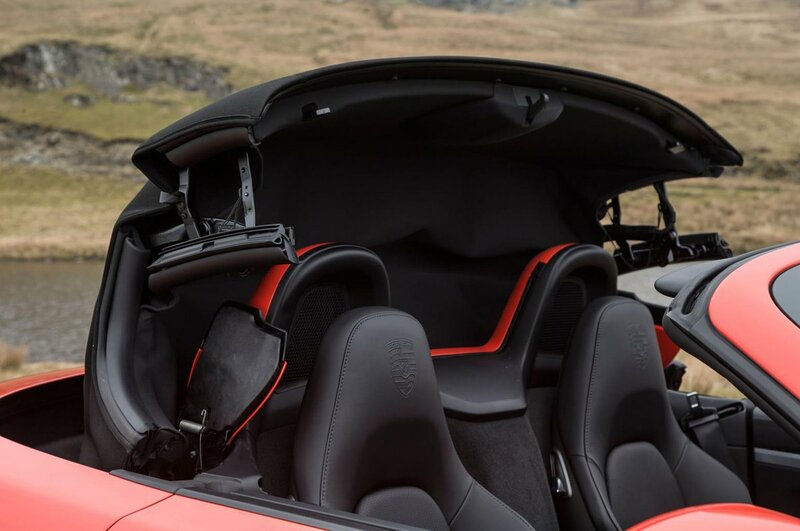 Apart from having an electrically adjustable backrest as standard, the Boxster's seats don’t do anything special to set them apart from rivals. Sliding them forward and backwards is just a matter of shifting your weight around and the passenger's seat has the same range of adjustment as the driver's, so there shouldn’t be complaints from the other side. There’s a small lever on the headrests to fold the seat forward, while fully electric seats are available as an option. 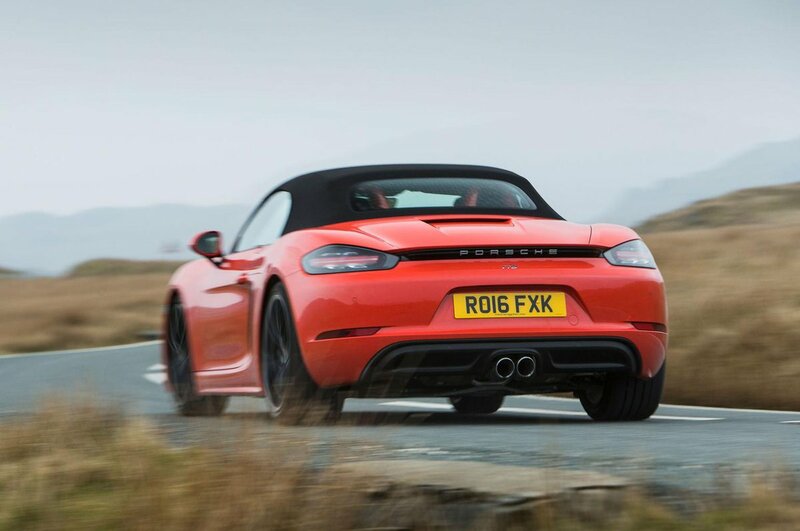 The Boxster gives you two places to stow your bags; one deep boot in the nose between the headlights and the other in the traditional place, behind the engine. While neither offers a massive amount of space, when combined there’s plenty of room to carry a few soft weekend bags, a pair of small suitcases or a weekly shop. Forget about golf clubs, though. 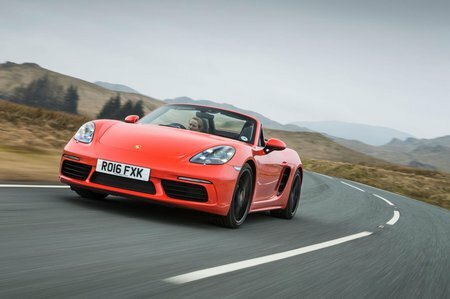 Unlike some rivals, the Boxster’s fabric roof mechanism is completely separate from the loading bay, so the amount you can carry stays the same whether you have the roof up or down. This is a major plus over cars such as the BMW Z4 and Mercedes-Benz SLC, which have smaller boots when the roofs are folded.